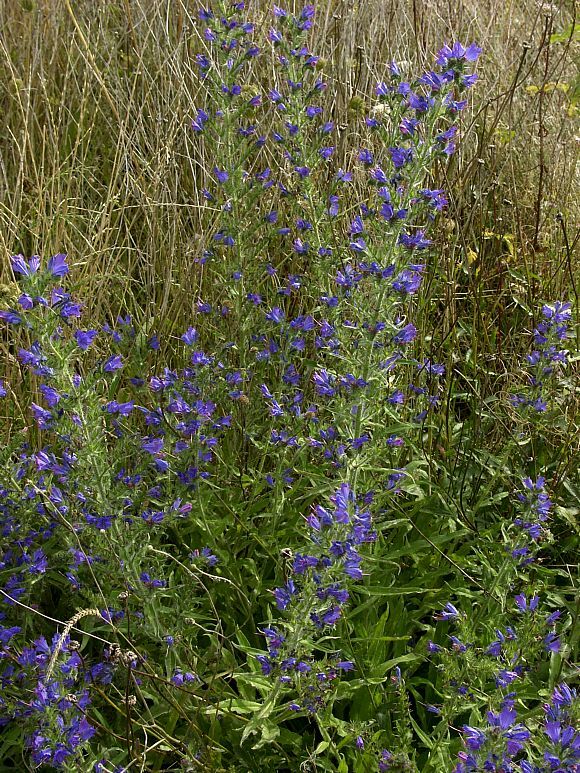 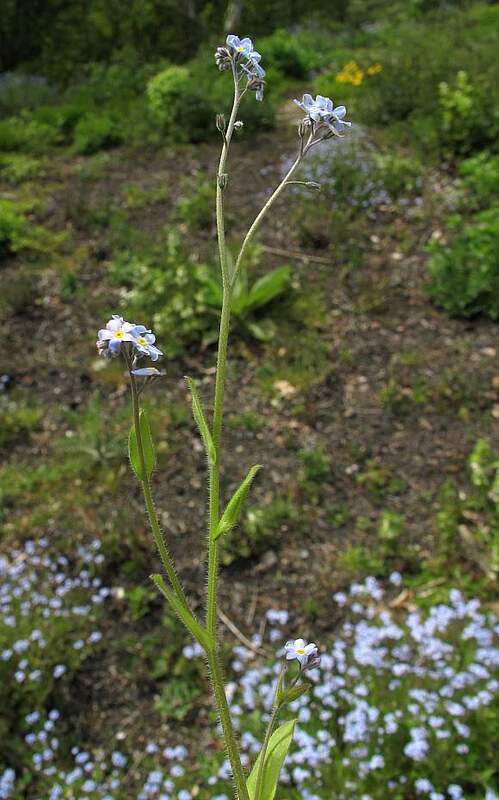 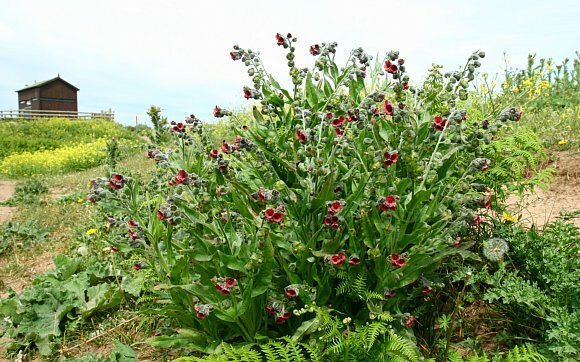 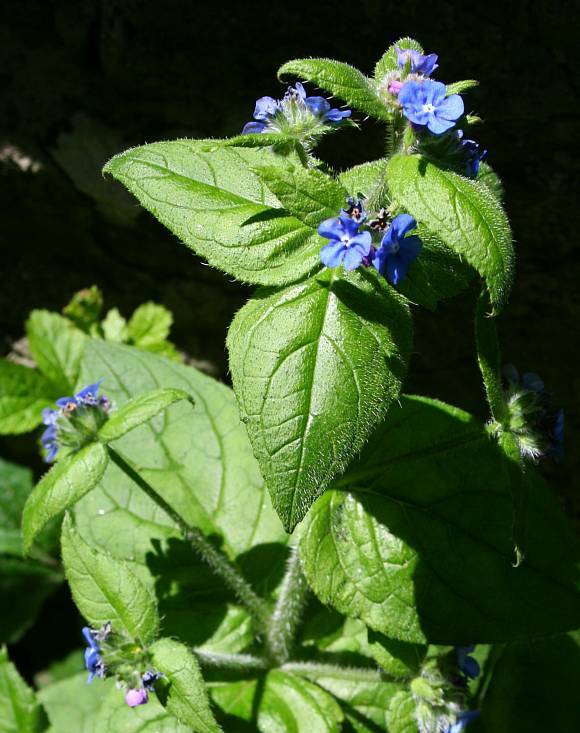 The Borage Family, along with the Daisy, Orchid and Pea Families, produces many naturally occurring pyrrolizidine alkaloids. 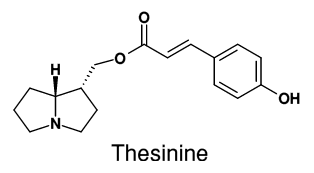 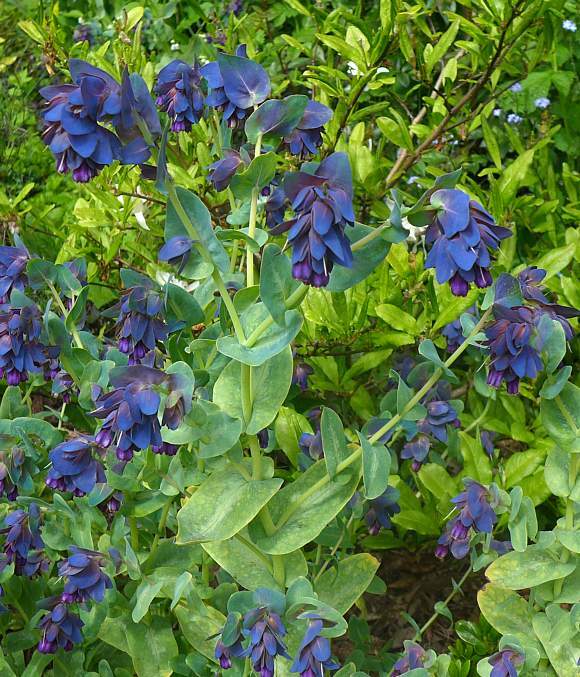 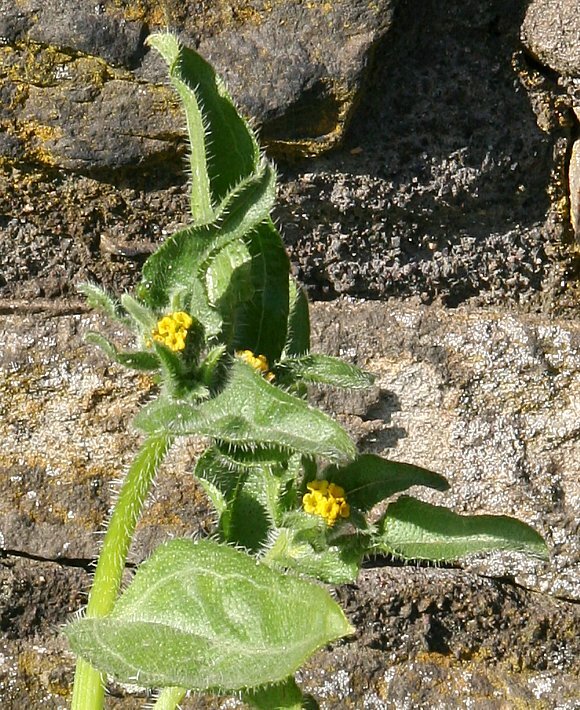 Retronecine is one such that is found in Groundsel [not yet linked to] and in Comfrey [not yet linked to], and is hepatotoxic, damaging the liver. 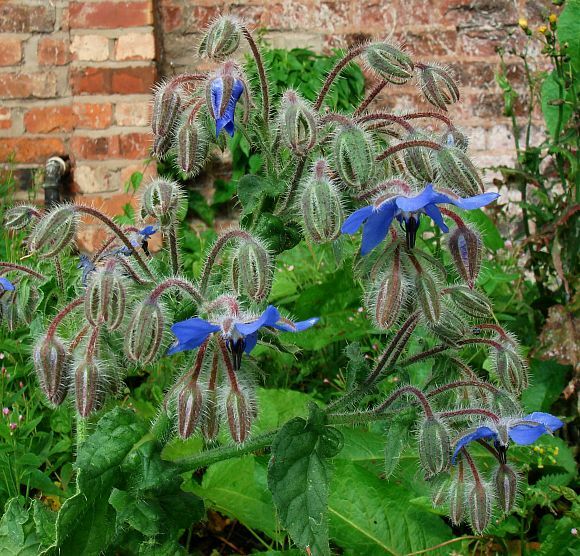 Borage contains a non-toxic pyrrolizidine alkaloid, thesinine, which is coloured deep blue, and is the only blue dye that is edible. 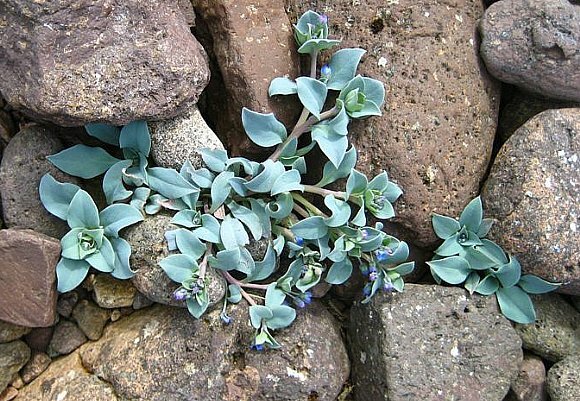 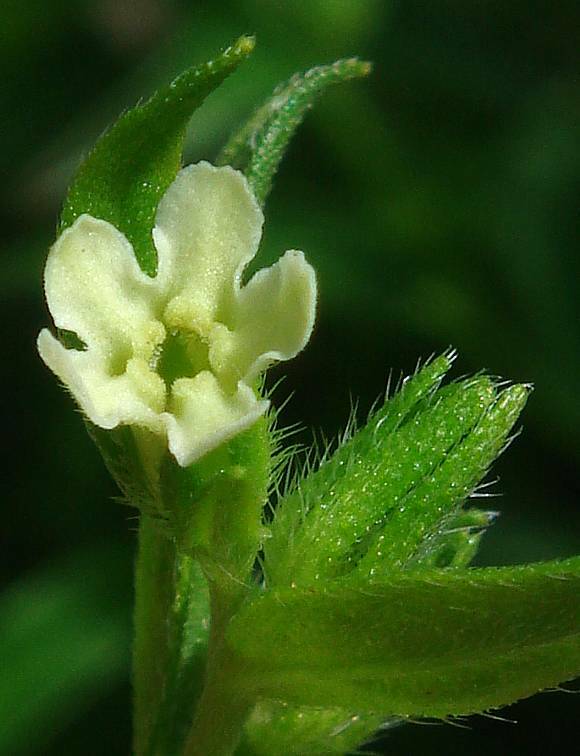 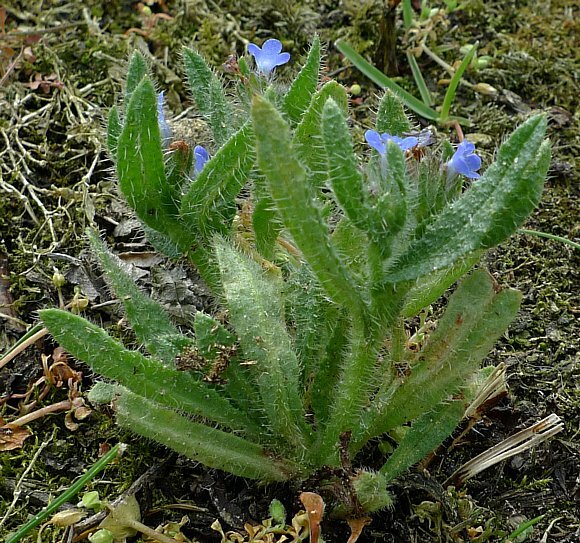 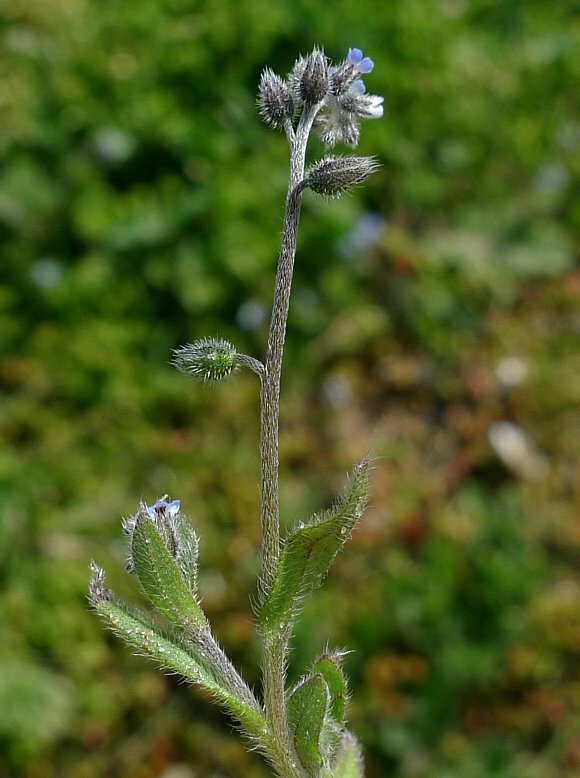 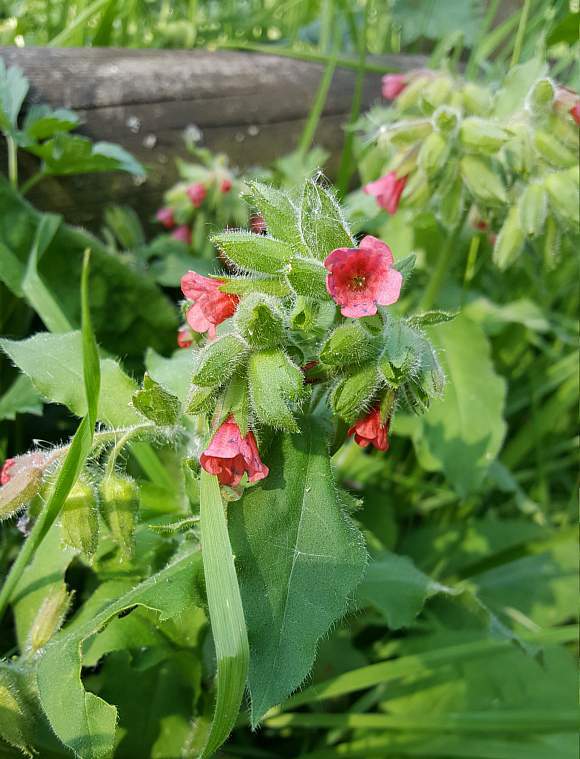 The hairs on plants belonging to the Borage Family, if skin contact is made, can cause skin irritation in certain individuals, some plants more than others. 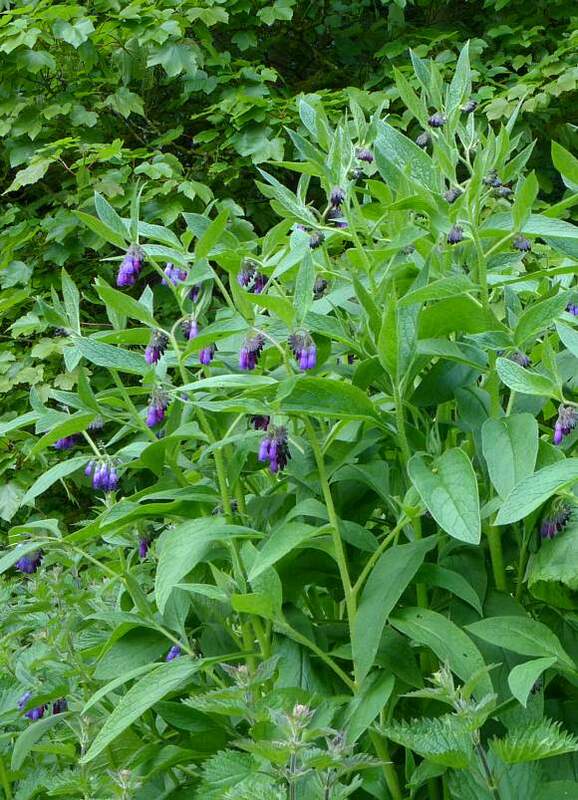 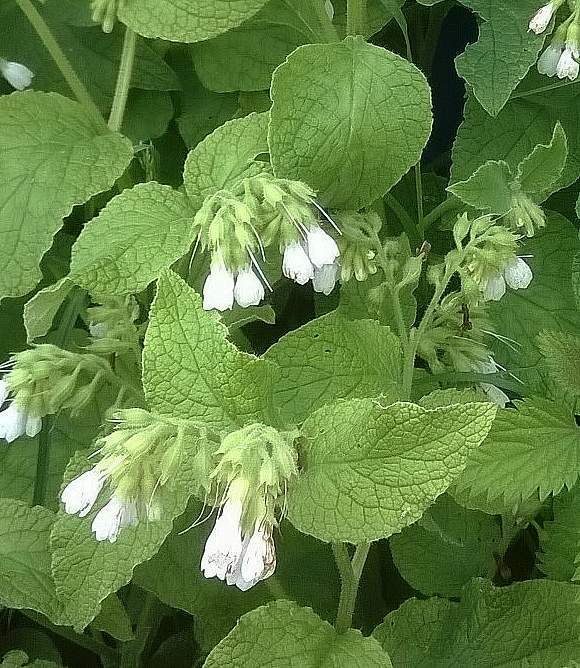 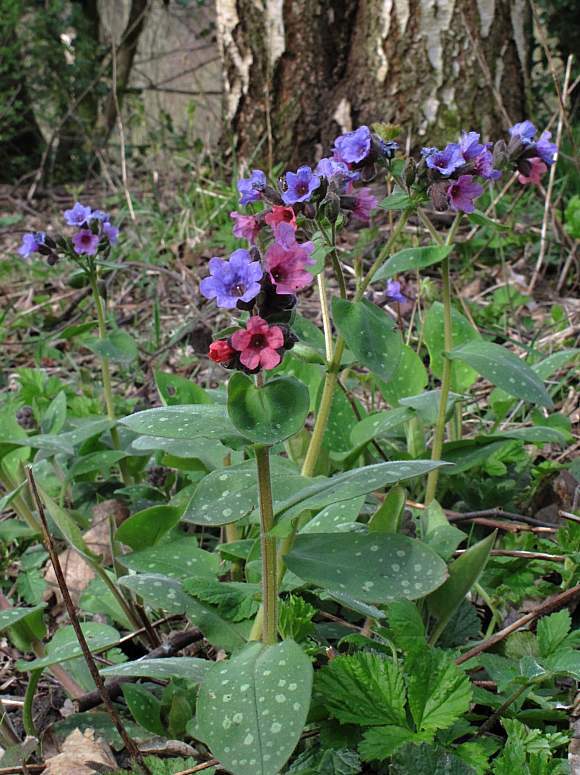 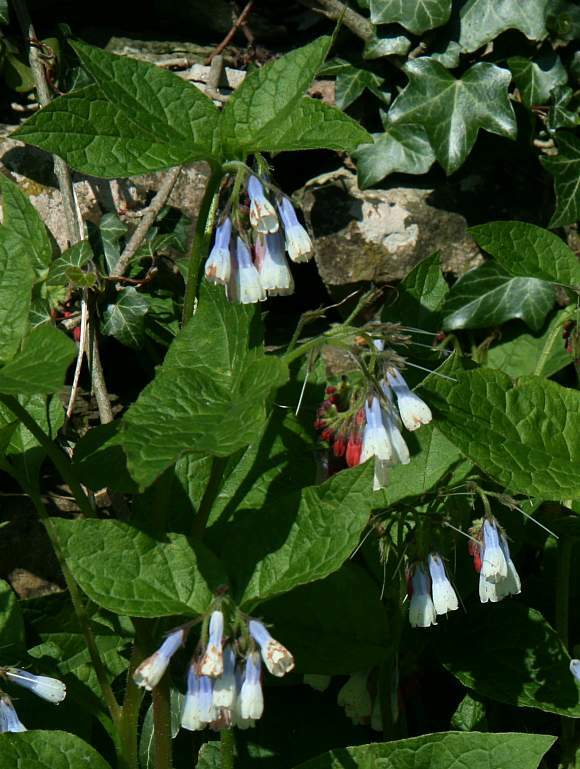 Note that the table below, nominally listing all the species lacking hybrids, also contains a species which is derived from three different Comfreys, a triple hybrid of Rough Comfrey, Common Comfrey and Tuberous Comfrey, which are all present on the above hybrid chart.